Raleigh had since decided that the Chesapeake Bay area was a better site for settlement, and he hired Simon Fernandes, a Portuguese pilot familiar with the area, to transport the colonists there. Fernandes, however, was by trade a privateer in the escalating war between Spain and England. By the time the caravan arrived at Roanoke Island in July, 1587, to check on the 15 men left behind a year earlier, he had grown impatient with White and anxious to resume the hunt for Spanish shipping. He ordered the colonists ashore on Roanoke Island. The colonists soon learned that Indians had murdered the 15 men and were uneasy at the prospect of remaining on Roanoke Island. But Fernandes left them no choice. They unloaded their belonging and supplies and repaired Lane's fort. 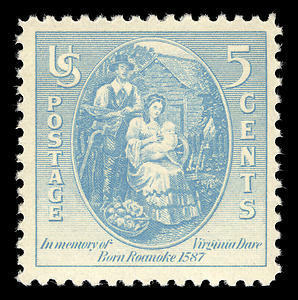 On August 18, 1587, Eleanor Dare gave birth to a daughter she named Virginia, thus earning the distinction of being the first English child born on American soil. 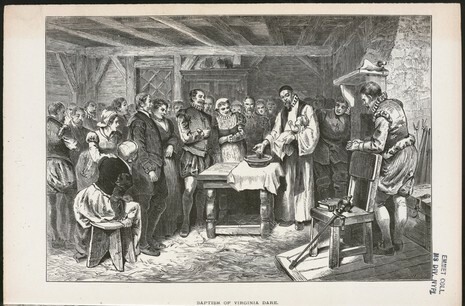 On 18th August 1585 the first American child of English descent was baptised Virginia Dare. She was the daughter of Elenor and Ananias who were formerly parishoners of St Bride's and were married in the church. A bust of Virginia stands above the font. In 1587, an expedition organized by Sir Walter Raleigh established an English colony on the island of Roanoke, off the coast of present-day North Carolina. 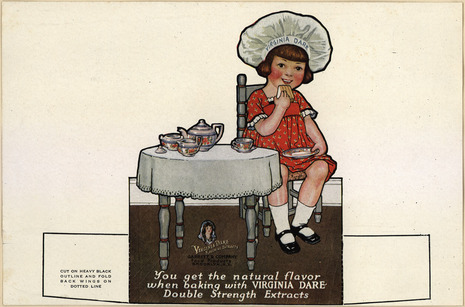 On August 18 of that year, the first English child was born on American soil. 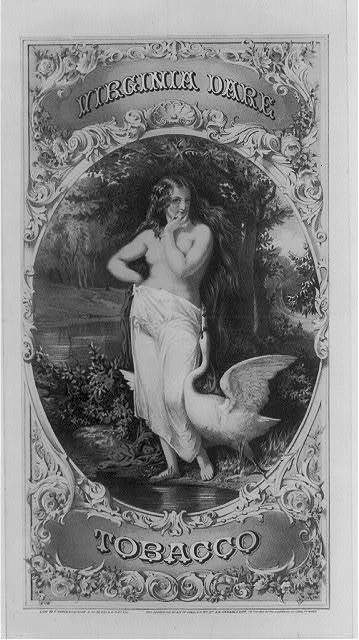 Named Virginia, her mother was Eleanor Dare, the daughter of John White, governor of the colony.